Please select this option to join an existing relay team. You must know your team's name and password to join. If your team is not yet registered, please select the option above to create a new team. 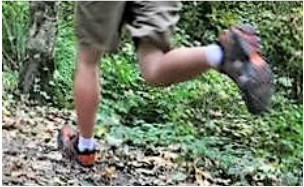 Celebrate with a 3 mile wooded-trail fun run or walk at your own pace. There are no winners. There is no second place. This is simply a celebration of life in a breathtaking setting. Extend your enjoyment of the day with a 5 mile trail run . Walk, jog, push the pace, or stop to have fun and enjoy magnificent views of Lake Ontario. Test your endurance with 10 miles around this beautiful, wooded trail run course. You'll have all the time you need to have fun, run, and enjoy this truly memorable day. Try your mettle by attempting to complete 33 miles around the 1-mile wooded trail run loop. Each lap begins on the grounds of Camp Kenan and traces the south shore of Lake Ontario, over a wooden walking bridge, through the outdoor chapel overlooking the lake, and into the woods. You'll run past camp features and through a pine forest before looping back into the main camp area to complete your first mile. Pebbles will be available for collection after each loop. Place one in your backpack or pocket to keep track of your miles run. There's no need for a timing mat here. You'll accomplish your endeavor and earn your finisher gift in good faith. ​Racing teams of one to four members will alternate as they wish to complete as many loops as possible before sunset. The team or individual that completes the most 1-mile loops within ​12 hours will win a donation of $10 for every loop completed. The donation will be split evenly and made in the winning team's name to Camp Kenan's Camper Scholarship Fund and the church or charity of the team's choice. IMPORTANT: Please note, team captains must select this option and create a team name and password. Additional team members must only select the option below to join an existing team. Each additional team member pays only $16 for their gift and post-race meal. The Resurrection Run Ultra Marathon, Relay & Fun Run reserves the right to refuse the cash donation to any organization whose core values are not consistent with the spirit of the race. All prize money will be donated as stated to a Christian faith-based cause.